Developer: Guillaume Cottenceau u. a. 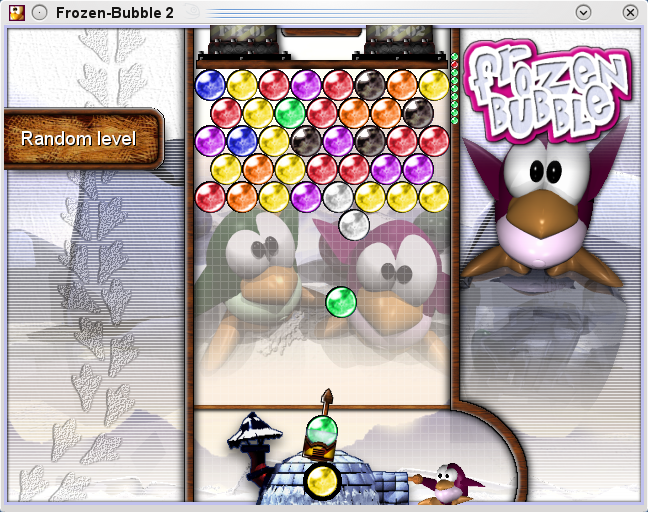 The original Frozen Bubble was written in Perl by Guillaume Cottenceau. Version 2.x offers multiplayer play via LAN and Internet. This version is presently for Linux only. The game is released under the GNU General Public License. Simply install the packages with yast or zypper. A fairly simple 3d game in which you attempt to shoot "bubbles" to knock the other "bubbles" down, clearing the board. A tetris-type game of accuracy and speed. This page was last modified on 14 May 2010, at 12:50.